There is some prerequisite reading for this post, if you haven’t already read Bipolar, you should do that first. In the heat of a moment, it is easy to forget or even completely miss important details, and sometimes the things that we do remember seem so pointless in relation to the broader story. It has been exactly a month since I found myself in the back of a pickup truck with 4 other people hurtling down the road towards a Haitian hospital. 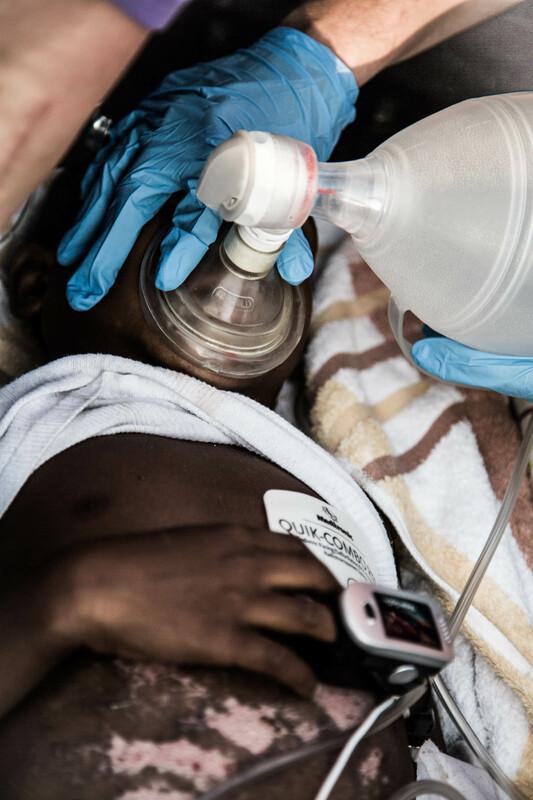 The little boy who lay on his back between us wasn’t breathing well on his own, and each pump of the bag ventilator was critical to keeping his oxygen levels up and giving him a chance to survive the trip to Bernard Mevs in Port-au-Prince. I remember pausing at the water cooler before the truck left, and struggling with myself to calm down. I remember the elation I felt when Webert arrived just as Denzly was placed in the back of the truck. I remember taking my watch off and offering it to the medical team as if I was buying a place in the truck with it. I remember the brief discussion at the hospital about whether we should put down the tailgate or just lift Denzly over the side. I remember how I felt when I learned that the rest of the team had skipped dinner, waiting until we returned to eat. Each person at Tytoo that day probably has their own memories of those hours of uncertainty. Some of those memories will seem so random that they only have meaning for the person remembering it. Some of the moments will gradually be lost to the haze of time, while others will remain sharp and clear for years. As I reflect on that day, it is easy to see the small details of my role, but in focusing on those details, I find that I am prone to missing the larger story. In my foolishness and the immaturity of my knowledge, I presented the events of that day as starting with a truck pulling into Tytoo. I know better now, and I would like to tell you the rest of the story, including the news I received just this Saturday. 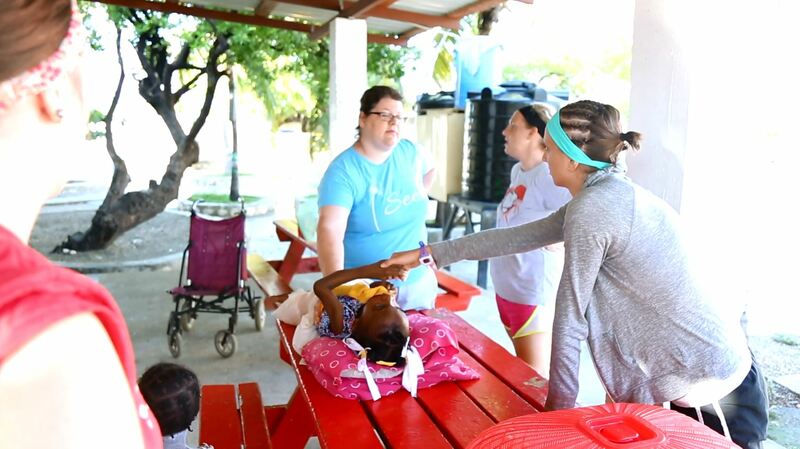 Allie has been in Haiti for roughly 2 years, and in some ways, she is where this story starts. 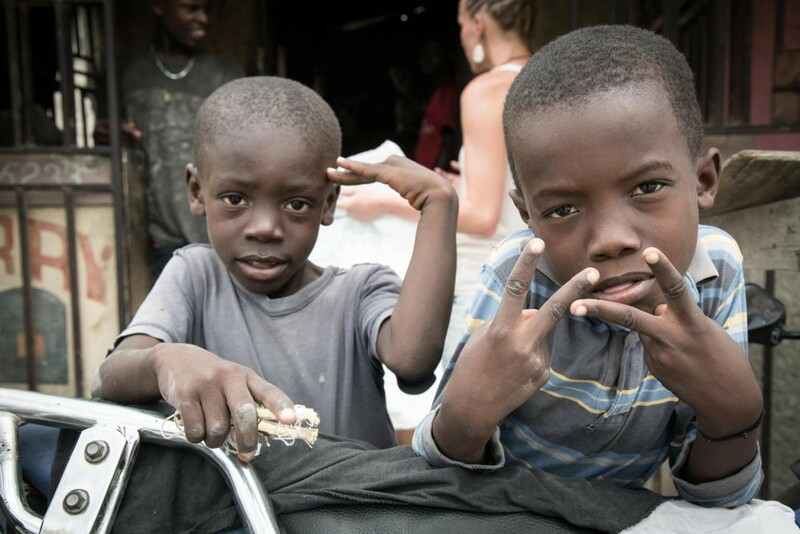 When we arrived in Haiti we shared our ride to Tytoo with Denzly, who we picked up at the hospital. Allie had been approached by one of the boys relatives and was shown a picture of Denzlys crazy rash, because of her role at Tytoo, Allie has developed a reputation for being someone you go to when you need help. Allie had arranged for Hillary to take the boy and his mother to the hospital for some tests. 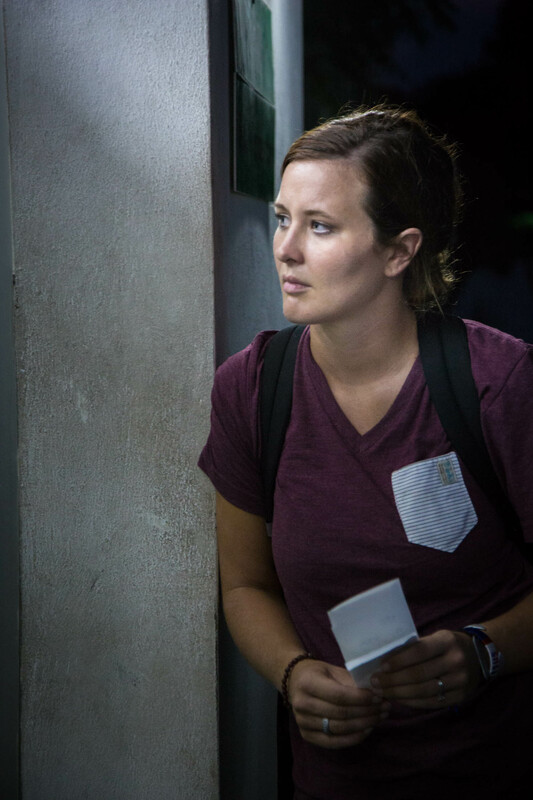 Hillary is a Canadian paramedic, and is the coordinator for medical teams who visit Tytoo. She had arrived in Haiti just a few days before us, and would be leaving with us at the end of our trip. On Thursday we went to Denzly’s home, hoping to try some anti-fungal medicine on his rash since the antibiotics he had been taking hadn’t yielded any obvious results. We pulled up in front of his home to find that he had been taken to a “church service” by his mother, who hoped he would be healed spiritually. We piled back into the truck, and went back to Tytoo, hoping to try again the next evening. In light of what happened the next day, it really felt like a missed opportunity. When the fateful Friday night arrived, Hillary was already at Bernard Mevs with Annalisa, a child at Tytoo Gardens who has brittle bone disease. On Friday morning, I had watched as Hillary loaded Annalisa into the Kia, a mid sized white truck owned by Tytoo. She had broken her femur while turning over in bed during the night. In fact, Annalisa would stay at the hospital all day waiting for a cast that was promised in two hours, but would never be applied. She would have to return on Saturday for her bright blue cast. Annalisa on Friday morning, bravely awaiting her trip to the hospital. Hillary was with Annalisa all day while they waited at the hospital, meaning that when Denzly arrived at our gate that evening, the person most experienced with transporting a child in distress was not with us. Since they had taken the Kia to Port-au-Prince, when Denzly arrived, we didn’t have a fast and safe vehicle to take him to the hospital. It would be at least 45 minutes before the truck could get back to Tytoo, far too long to wait. Further compounding the situation was the fact that Kori, Jen, and Troy hadn’t had any time in the small onsite clinic. They hadn’t been able to familiarize themselves with the equipment, or where it could be found. This lead to some frantic searching as they looked for equipment they weren’t even sure the clinic had. 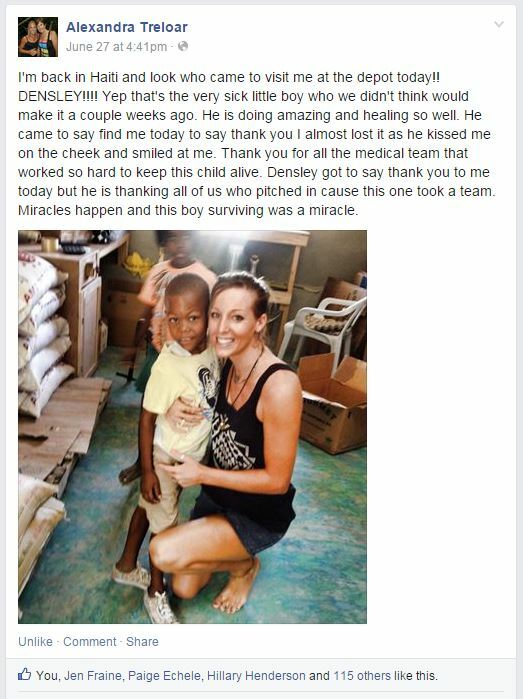 The nearest ambulance was without a driver, and the nearest hospital wasn’t going to be able to handle a child in Denzly’s condition. It was as if our hands had been tied by threads of unexpected circumstance. Each strand entangling us to paralyze our efforts. It was only during the week that followed that Friday night that I learned the full scope of what had happened. the truck if Hillary had been with us instead of at the hospital that day. There was barely room for me as it was, and with a 4th medical person in the back of the truck, I would have had nowhere to cling as we sped down the road. 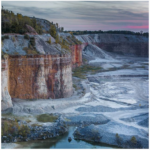 While I hadn’t served a valuable purpose in the truck, I knew that this story would be powerful, and I remarked that I was glad it had worked out for me to go along. Hillary agreed, but then continued the story. She proceeded to say that if she hadn’t been at the hospital all day, they may not have even let Denzly in! 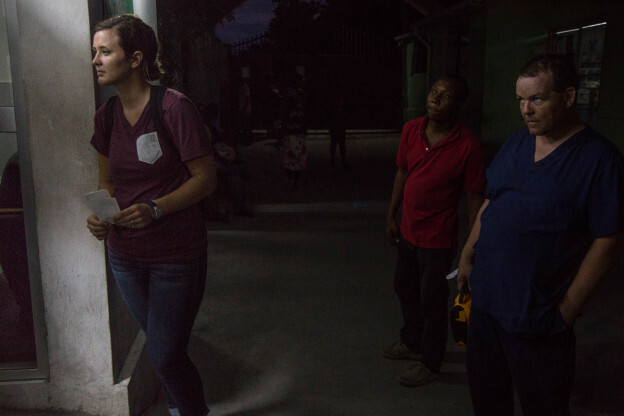 She said that when a Haitian hospital is presented with something they are unfamiliar with, aren’t sure they can help with, or even if they are just too busy, they may turn you away at the gate, forcing you to look elsewhere. When we arrived, there were already 2 gunshot wounds in the E.R. and no one was available to begin care right away. Hillary quietly finished by saying that if she hadn’t been there, we probably would have been turned away. Before we left for the hospital that night, I ran back to the room to grab every penny I had with me. I wanted to be prepared to pay for whatever needed paid for to ensure Denzly could be seen by the hospital. 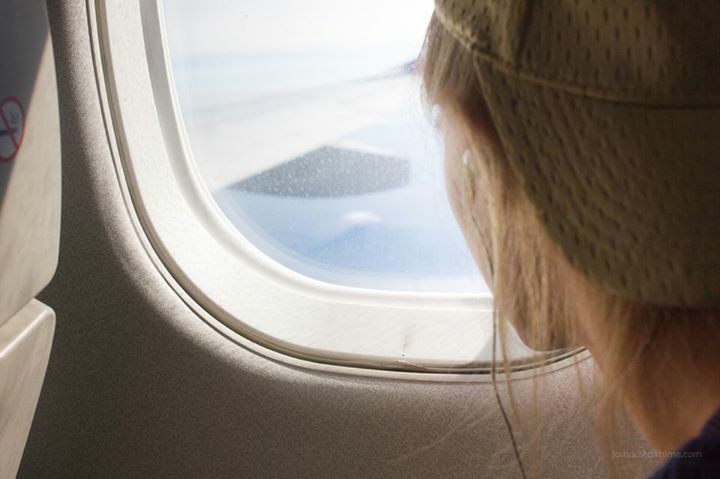 By North American standards, I didn’t have much with me, and I knew that I needed to pay my extra baggage fees on the way home, but weighed against a life, I knew which choice I would be compelled to make if the moment came. It would cripple me financially until the end of the trip, but what choice would I have? One of the people in the front of the truck that night was Kayla, her husband Webert was the driver, and the truck belonged to them. Kayla works with Touch of Hope Haiti, and in the last year she had done a lot of fundraising so she could set up what she called “The Lazarus Fund”. When Hillary came out of the door and started talking through the details of paying for Denzly’s care, I was standing next to Kayla. It quickly became apparent that even if I gave everything I had, it wouldn’t be enough. As I was still working up the courage to mention the stash of cash I had brought, without batting an eye Kayla that they would take care of it. She said that the reason this fund existed was for exactly this sort of situation, and that she was so glad that she had been able to raise enough to take care of this boy without thinking twice. Would Kayla have been with us if the Kia had been at Tytoo when Denzly arrived? As I put aside my own memories of the event, I start to see the larger story unfolding. The threads of circumstance that seemed to bind us, were perfectly placed to free us. From a broken leg and a long hospital wait, to open seats and visiting medical teams, each moment of the weeks leading up to that moment on Friday night was completely outside of the ability of any one human to control. It was as if each unexpected circumstance was a thread on an unseen loom, skillfully woven together with a precision unmatched by human hands. Each moment a seemingly insignificant strand, easily snapped, but together forming a picture that no one could have expected. It is in this larger picture that I find myself able to say this. It is good to be used by God. Each moment was ordained by God. I didn’t see it right away, but the more I reflect on that night, the more clear it becomes to me. I could say that we were remarkably lucky, but that would be denying God’s presence in each moment. God was able to use us to do his will because he was able to place us where we were needed. Our role in the events takes a backseat to the elaborate weaving done by God to ensure all would go according to his plan. In fact, God continues to weave these threads even now. The “church service” Denzly was taken to on Thursday night was most likely a voodoo ceremony intended to heal Denzly. What we originally believed to have been a rash, we now believe may have actually been a chemical burn caused by a voodoo “curse”. When Denzly’s mother removed him from the hospital against medical advice, she neglected the provided medicine in favor of voodoo “tea”. Her anger at us for interfering with the care provided by the witch doctor was palpable. As we neared the end of my time in Haiti, we almost felt defeated by the situation. Before I left, Allie and I stopped at Denzly’s home to check on him. I didn’t expect a warm welcome, but Allie was determined to see him. As we walked up to the house, we could see Denzly standing outside, a frozen juice pouch in hand. He didn’t acknowledge us as red juice dripped from his deformed lips to the dirt beneath his feet. I shudder to say it, but he was truly like a zombie, it was as if he wasn’t actually there. His family gathered around and began talking with Allie as I began to fear that while we had saved his body, the lack of oxygen had left his mind impaired, unable to rejoin the world he had left behind. Denzly before he went back to the hospital. Allie managed to cut through the dark clouds that had formed in my brain as she said that his heart was beating really fast. She kept feeling his stomach and his chest, while I looked stupidly at her and asked her to count the beats. After a few more moments of discussion she asked me to feel his heart beat. I hesitated, not knowing what I could do, but eventually I reached out my hand to feel his heartbeat. It was too fast to count. When Allie told the mother to take Denzly to Tytoo’s clinic yet again, I expected resistance. Instead, the mother quickly agreed. Once at Tytoo they made arrangements with the mother to return to the hospital, and this time to stay until Denzly was better. She accepted the conditions and Denzly returned to the hospital. I don’t know that I expected Denzly to survive. I could only hope that God had chosen to weave together this story so that Denzly and his family could know the healing power of Christ over voodoo. I left the next morning, and Allie left the day after. It would be nearly 2 weeks before I would learn what happened to Denzly. In all our time with Denzly, I had never seen him smile. If you are interested in donating to The Lazarus Fund, please contact Kayla by going to her website. She will be able to tell you the most pressing needs, and how to donate if you are interested. 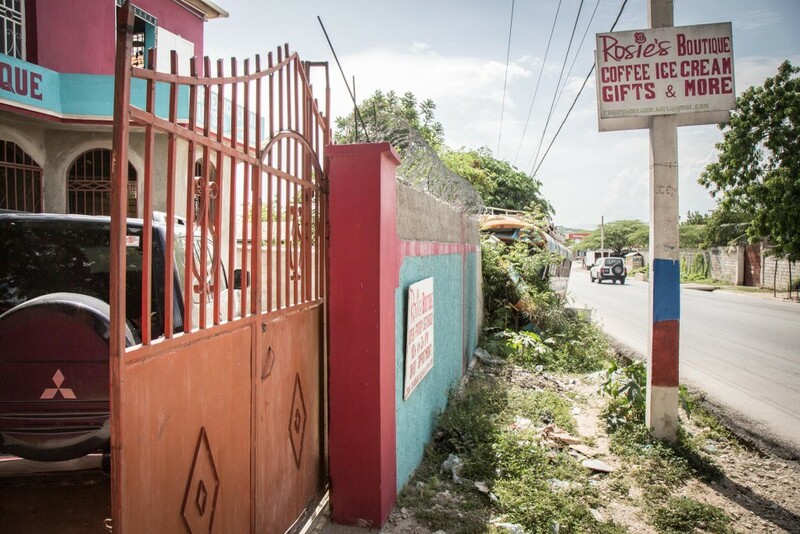 This entry was posted in Haiti, Mission Trip Journals, Perspective on June 30, 2015 by Joshua. 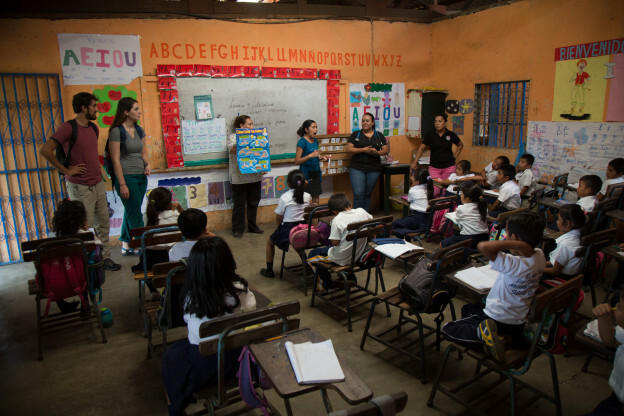 I have been in Nicaragua for the last week, taking pictures and filming interviews for an organization known as NRN. It has been a great experience in many ways, but has also been very tiring. I remember our second day being an exhausting mess of inner city travel and 2 language interviews. By the time I would get back at night, I was exhausted and ready for a quiet dinner and to maybe take a leisurely walk up to the ice cream shop for a cool treat . On most nights I would change into clean clothes before bed, and settle in to the fresh cleaned sheets for anywhere from 4-8 hours of sleep. The next morning would bring breakfast, and then a quick meeting before being driven out to shoot interviews all over again. It has been tiring, but it has also been very rewarding. In fact, as I wrapped up an interview with one of the doctors working with NRN, she asked if she could ask me a question. After assuring her through a translator that she could, she asked me why I was doing all of this work. I wasn’t exactly sure why she had asked that question, so I told her that I wanted people to know about the ministry happening here, I told her that I had been to the website before I came and that even after that I had no idea the extent of the medical ministry that NRN was doing. After the few moments it took for my answer to be translated, she began speaking again, sharing that the people in the clinic had noticed the same problem and had actually been praying that someone would come to tell their story. She thanked me for being an answer to their prayers, and for bringing my equipment and my talents to serve when I knew I would not be paid for my time. It was a moving moment for me, an acknowledgement of the work I had come to do. For this doctor to take time to thank me has encouraged me to keep going for the rest of the week. She saw the sacrifice I was making and made sure that I knew that she had seen it. The thing is that it hasn’t really been that much of a sacrifice. Each night I have a hot dinner and a clean bed to sleep in. During each interview I had a translator putting my questions into Spanish, and then each answer was brought from Spanish to English. I haven’t had to wash my own clothes or cook my own dinner for the whole time I’ve been here. When I am here with NRN, I live like a rich man that can afford to have his menial tasks done for him. There is always someone watching over us at the Quinta. Always. If I had to clean and cook in addition to all of the other stuff I am doing here, I would be struggling to keep ahead of it all. It might be possible, but the longer I am here, the more I begin to doubt that I could do it all. The framework of people who are around me is the only reason I can continue doing what I am doing. The cooks and translators and laundry washers are an integral part of my small work here. The Nicaraguans serving NRN are the bones, the frame that holds up our North American short term teams. Many people who interact with NRN in Nicaragua may never see the people who are the bones, holding the organization together. I look around at the people who are visibly serving and I see just skin. Our team gets to go out and look good in the communities we serve only because of the cooks who get to work at 4 in the morning and who are there when we finish dinner at 6 at night. We wear fresh clothes that were lovingly washed by ladies who may never get to see the impact of their ministry. We sleep in comfortable beds because our sheets are changed for us. We are the skin and we get the credit for so much beauty. They are the bones that we so often forget about. We need both to live. So as I sit at home thinking about my trip, I find that the people I keep thinking about aren’t the kids at the church or the people on the team, but those who quietly served us while we did our best to minister to their countryman. They recognize we have a platform to speak to their friends and family in a way that they never could, and they give us everything they have to make our jobs more comfortable. They willingly step out of the spotlight and serve us so that we can make Jesus look good. Changing the brakes…so we don’t die. Glad I wasn’t involved in this! So for the doctor who thanked me, I would like to thank you. You are changing the world, in ways that I never could, and I am so grateful to have met you. You may be saving a life right now, while I sit in my air conditioned home writing an essay that will draw attention to me and my work. I hope that I can tell your story in a way that helps people understand the importance of your role. It is the least I can do. For the workers at the Quinta who kept us safe at night, washed our clothes, cooked our meals, and maintained the grounds, I can’t wait for you to see your rewards in heaven. I often see clearly the moments when I make a difference to someone, but you may not know until you reach heaven, and I will be rejoicing with you as you learn of your colossal impact. 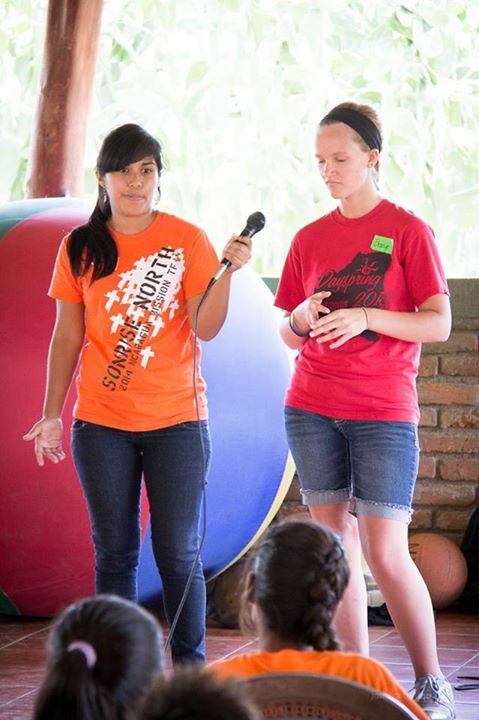 Nicaragua is different because of you, and I know my heart is different as well. I think the translation actually made this skit more amusing. Roger and Aaron did a great job! For the facilitators who are our ambassadors, sharing our messages and translating our thoughts, thank you for your service. Without you, I and so many others would be lost, unable to share our heart for your people, to share our love for your people. You have a great gift, thank you for using it in service of the kingdom of God. For those of us from North America who serve on short term teams, who receive the accolades of the church and post pictures on social media of all the work we have done, I offer just this. May we never forget the bones who uphold us. May we love them as we love ourselves. Did NRN bring you here? If so, then check out the Nicaragua category for more NRN related photos, videos, and writing. If you are interested, feel free to check out some of the other posts on the site, and if you would like to get an email in your inbox when there is a new post feel free to subscribe. You can find the subscription box in the top right corner of the site. Thanks for stopping by, and I hope you find something that you find moving. 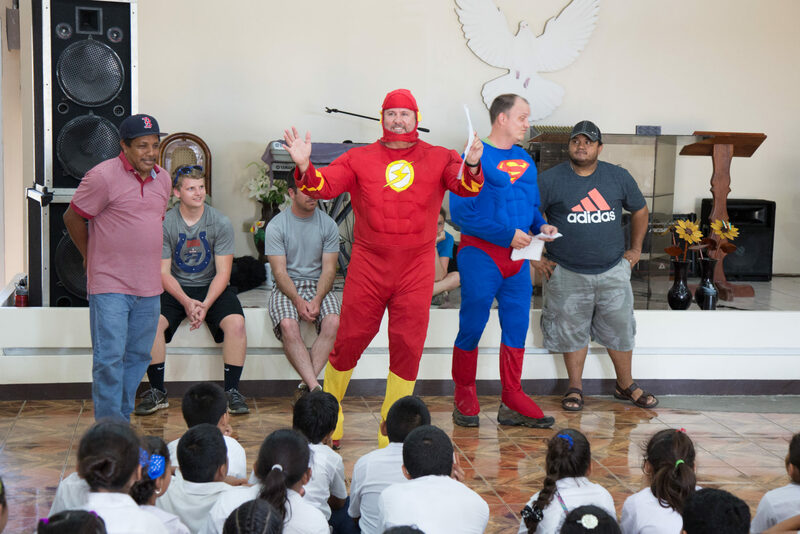 This entry was posted in Mission Trip Journals, Nicaragua, Perspective on June 24, 2015 by Joshua. It was only for a moment, but I was completely sure that I had heard Braelyns voice burst across the dining room in La Quinta Primevera. I looked up with joy in my heart, not ready to ask myself why she would be in Nicaragua three days early, and my joy faded as I realized what I thought had happened was impossible. It was a trick of the mind perhaps, one that is easily dismissed as an acoustical aberration. The joy I felt was no trick however. I experienced it in its fullness. In 5 different years, my time in Nicaragua has been shared with so many people, some have gone once, others have been two or three times, but each year I have gone, Braelyn has been there. I have stood beside Braelyn as her petite frame spoke out powerful words of healing and of blessing in a Nicaraguan home we were guests in. We have stumbled up and down volcanoes together, and made and destroyed volcanoes of concrete together. I have watched her grow from an energetic teen to a rambunctious young lady, ready to take on the world. Each trip like a yearly snapshot…each revealing a different part of who she is. All it took was a misheard sound to bring this all to heart. Within moments of my mistake, God blessed me with a clarity I could not have found on my own. If I could experience such joy at the sound of a voice, couldn’t others? In a moment my mind raced down the dusty streets of Tipitapa to the church we serve with, a church Braelyn could likely navigate in the dark by heart. I imagined the huge smiles and hearty hugs that awaited her there. The pastor, his wife and family, Alex and so many children whose names I don’t know but Braelyn probably does. Each of them as familiar with her voice as I am. Each of them happy to hear her voice again. Braelyn with her sponsored boy, Eddie! In my reminiscing I found myself thinking of things she has said to me or others during the trips. Moments that stick with me and encourage me when I reflect on them. Statements that challenge me, and stick in my heart. 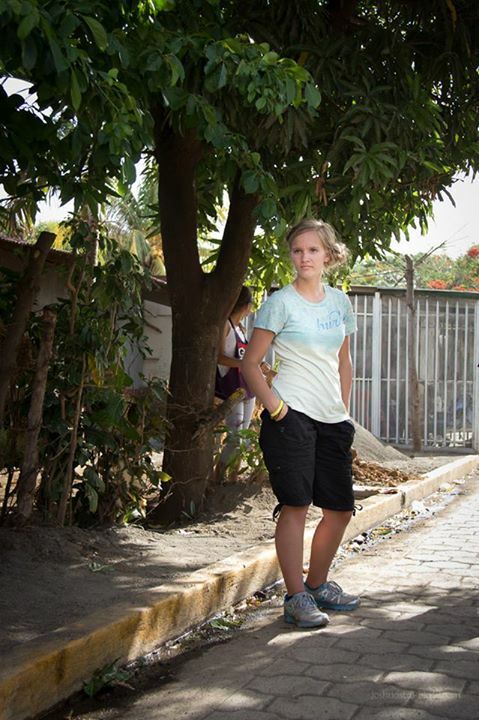 What do our Nicaraguan friends remember when they think of Braelyn? Which of her statements stick in their hearts? What kind word or silly sentence do they replay in their mind when they think of her? Her voice has the power to encourage from not only across the ocean, but from across time for those who remember it. Perhaps more importantly, I could have said most of these things about most of the people I have come to Nicaragua with over the years. This story focuses on Braelyn because it was her voice I thought I heard. It could have easily been any of a dozen other people I have been to Nicaragua with over the years. How many people from Dayspring can be identified by voice at our sister church in Tipitapa? I suspect it is more than we realize. Each person who has been to Nicaragua with Dayspring has a voice that has spoken to someone here. A voice of encouragement, a voice that acknowledges the beauty of a people who often feel neglected or forgotten, a voice that extends help or provision in a moment of need. It is voice that is recognized by the people at Tabernaculo de Aqua Viva as one of love and encouragement. It is a voice that says “we will stand beside you” and “we are here as an expression of God’s love for you”. It is a voice of support, one that says we acknowledge your suffering, and this is what we can do to help. Dayspring has a voice in Nicaragua, and it is because of individuals, like Braelyn, who have brought it to the ears of the people here. So, please pray that our voice as a team would be strong and firm this year, unwavering in our commitment to our Nicaraguan brothers and sisters. May each donation and sacrifice be fuel for the voice of God’s truth spoken through us. May each syllable carry every ounce of love that was sent from the United States without spilling a single drop along the way. May we speak hard truth where it needs to be spoken, and offer apologies where we have done wrong. Especially pray for Braelyn, as this year she is sharing a message of hope with a church full of women ranging in age from 15-to 95. Pray that as she speaks to her beloved Nicaraguan sisters, her voice would be clear as a resounding trumpet, and as strong as a nations guttural yell, capable of tearing down walls and laying waste to anything that stands in the way of God’s message for the women of Tabernaculo de Agua Viva. This entry was posted in Mission Trip Journals, Nicaragua, Perspective on June 12, 2015 by Joshua. As an aspiring photographer and videographer, over the years I have become very aware of how important light is to my craft. Sometimes you have too much light, and you end up overexposing the photo. Sometimes you have too little light, and you underexpose, leaving the details of the photo in darkness, unrecoverable. Manual exposure of a photo is a delicate balancing act, involving specific amounts of light over an absurdly specific period of time. The differences we are talking about between a properly exposed photo and a ruined photo are very small, sometimes measured in mere hundredths of a second. For a photographer, too much light can be as bad as too little. Sometimes you just don’t get it right, and you get burnt. I have been in Haiti for 12 days now, and I made the mistake of sitting in the sunlight during church this morning. I realized my mistake pretty early on, but my stubbornness meant that I couldn’t move without a really good reason. So I sat in the last pew in the east corner of the church for what was likely a 2 hour church service. By the end, I was feeling pretty thoroughly cooked, and began leaning into the nearby concrete pillar for respite from the beating rays of the sun. I figured out how to place my arms in such a way that I could keep the sun off of them. The dress code in Haitian church is pretty conservative, so I had already worn long pants, but I kept switching my leg position in order to rotate various parts in and out of the heat. The sun in Haiti is nothing to trifle with. Too much and you’ll get burnt. Sometimes I think that like the sun, we forget just how intense God is. We call him friend, father, and I’ve even heard Jesus called “the original hippie”. We toss around his name like a plaything sometimes, making it a punchline or using it as an accent word. We slap his name on our poorly driven cars, wear the symbol of his execution around our necks, and add pithy phrases like “show us your glory” to our worship songs. We forget that this “friend” and “father” spoke the sun itself into existence. We forget that Moses was only allowed to see the place where God’s glory had just passed by because the sight of God’s actual glory, God in his full brightness, would have killed Moses. God is no one to trifle with. In this world of light and darkness, God strikes a balance with us. I can not simplify God to some elaborate equation of light over time, because he is far too complicated for that. I can not distill him to a photographic formula that results in a perfect picture. I can however share what I learned today in the boiling sun of a Haitian church service. As I sat in the back, children from the orphanage at Tytoo would occasionally sit beside me, and in that moment all of my efforts of self-preservation would evaporate as I desperately tried to shade them from the sun with my body. If I am being honest, my efforts were pretty futile, and probably amusing to anyone who may have been watching me from a distance, but I didn’t care. I wanted to spare the beautiful children sitting beside me as much discomfort as I could. I would take a step forward to make sure my shadow would fall across them while we were singing, and I would sit up straight to provide them with as much shadow as I could during the sermon. I doubt the kids really ever realized what I was doing, but for me it was an attempted expression of love. I still don’t know the names of all of the kids here, but I knew that I wanted to protect them in any way I could. I was willing to give up the poor shelter of a concrete pillar to bring just a little bit of soothing shadow to a small child who choose to sit next to me. How much more does God want to protect us, his children? God’s glory is not some terrible thing that strikes people dead for fun. In the way that a great photograph can change your life, just a glimpse of the fullness of God would leave you forever changed, unable to continue in imperfection. When faced with true perfection, the beauty of it would inspire you to destroy yourself, lest you mar the perfect thing in front of you. The light of God’s glory is bright indeed, piercing through ourselves, whom the bible repeatedly calls shadows, here for only a moment, then gone as light falls over us. What shadow can remain in the light of God? For our sake, Jesus came. For our sake, Jesus placed himself between us and his Father, sheltering us in the shadow of his wings, allowing us to see little glimpses of the fullness of who God is. Jesus took our own sins upon himself so that we might one day stand in the presence of God’s glory. Jesus has shielded us, though he himself is the light of the world, placing His body between us and a light far too powerful for us to withstand. We are held in his arms, safe in his shadow. One day we will be made new, strong enough to stand in God’s presence, but until then we are blinded in the brightness of a shadow that keeps us alive. He protects us in the shadow of his wings, it is an expression of his love for us. 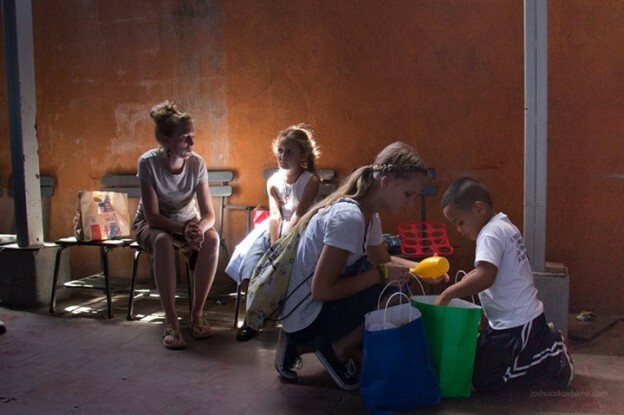 This entry was posted in Haiti, Mission Trip Journals, Perspective on June 9, 2015 by Joshua.